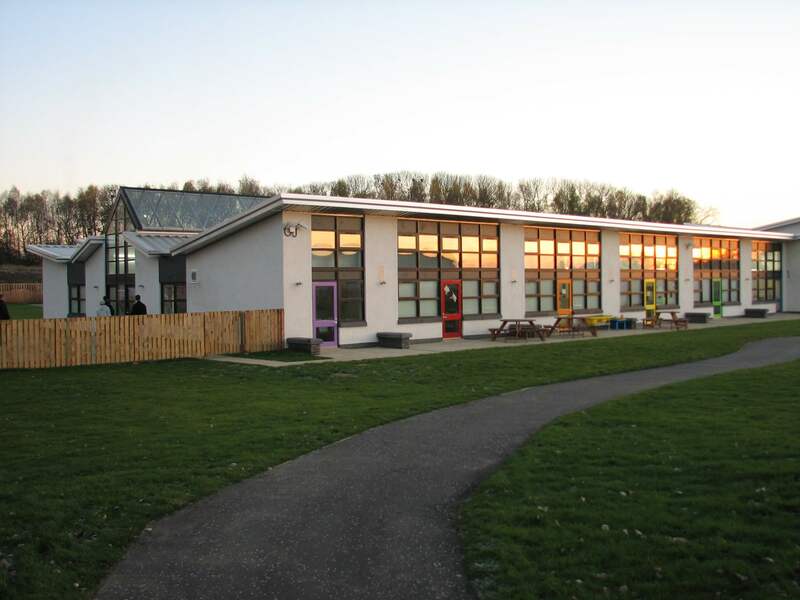 New Struan is an independent residential and day autism school for children with Autistic Spectrum Disorder in Central Scotland. Opened in 2005, New Struan is the most advanced centre in the world for the education of children with autism. 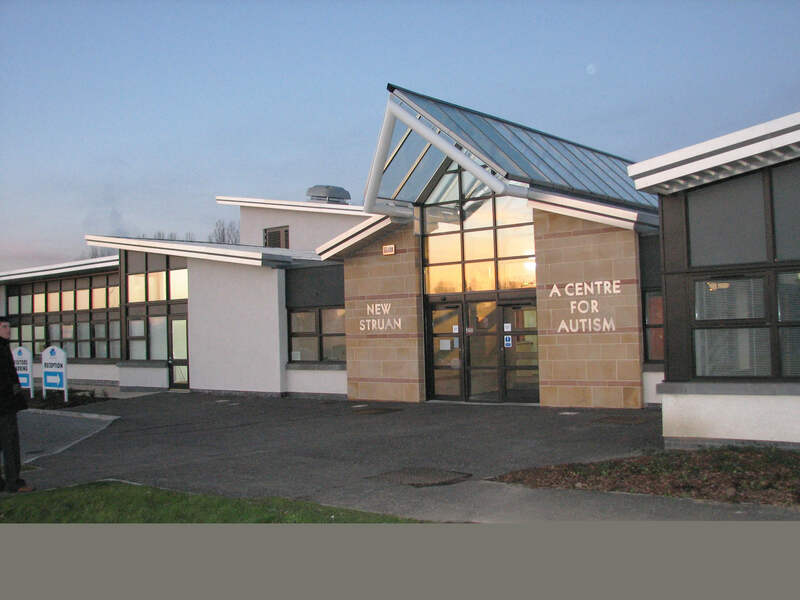 The school was designed by Aitken Turnbull architect Andrew Lester, whose daughter has autism, with the Scottish Autism Society. The T-shape plan creates a clear distinction between public and private. The building includes seven classrooms, a multi-sensory room, splash area, library, early learning centre, staff room and an area for visiting therapists. Children with autism are sensory sensitive and many feel extremely uncomfortable in fluorescent lit rooms. 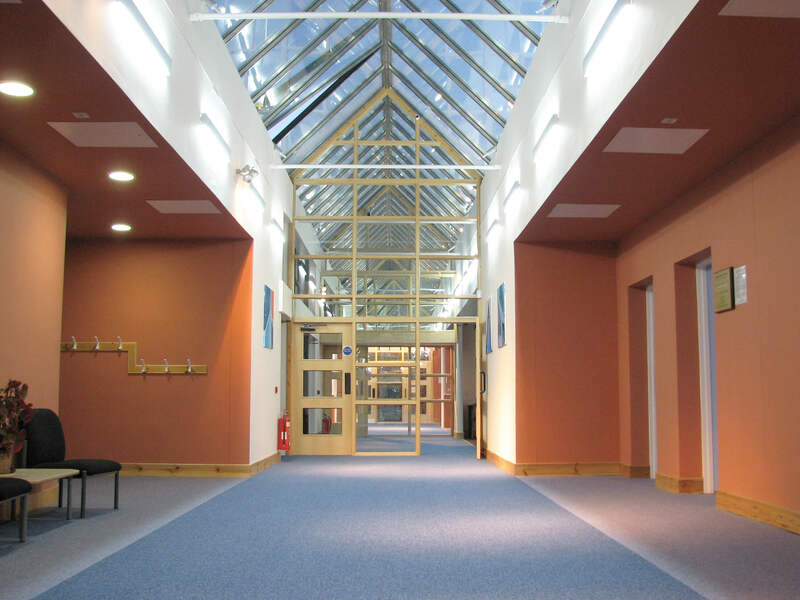 Bringing natural daylight into the school was therefore important to encourage development in a safe and stimulating environment. The ‘gull wing’ roof has been developed to encourage as much natural light as possible into the building. The pointed centre of the ‘gull wing’ forms a glazed atrium that runs the length of the buildings and floods the space with brilliant sunlight. Seven classrooms are located on either size of the atrium, each incorporating floor-to-ceiling windows with a brise-soleil to diffuse direct sunlight. Colour-coded doors lead to an external play area and allow pupils to easily remember which classroom to return to.